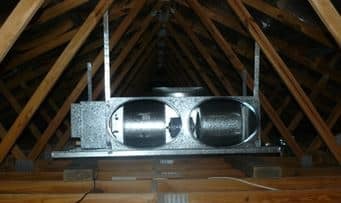 How do you determine if a ducted air conditioning system can be installed in an existing house? Check if the indoor unit will fit in the roof space required for Daikin Ducted Air Conditioners. The above dimensions are nominal. The height takes into account the depth of the safety tray and the fall (downhill) for the safety tray drain to flow to the roof gutter. The indoor unit may fit into a smaller space. Careful measurements must be made from the plans or on site to determine if the indoor unit will fit. 1. The distance between the trusses. 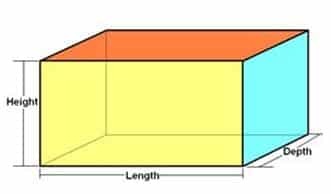 Carefully measure these dimensions and transfer to a scaled drawing. Put the measurements of the ducted indoor unit components on the same scaled drawing. Note :Trusses can be modified by an engineer/builder to provide space for the indoor unit. Check to see if there is room to run the ducts to all of the required rooms. Check for a suitable location for the outdoor unit. Check if there is sufficient electrical capacity to run the Air Conditioner. A qualified electrician can advise you if there is sufficient capacity. Incoming mains and switchboards in most cases can be upgraded. Get in touch with Crown Power today for more expert advice on air conditioning and electrical services.